Now you can have Annie's curly red hair! Become the little orphan with a heart of gold when you go in this red curly wig, licensed by the musical! Features a mesh netting interior for your comfort. 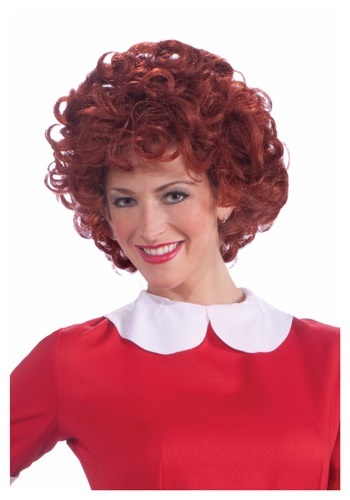 This wig works perfectly with the Orphan Annie Costume.